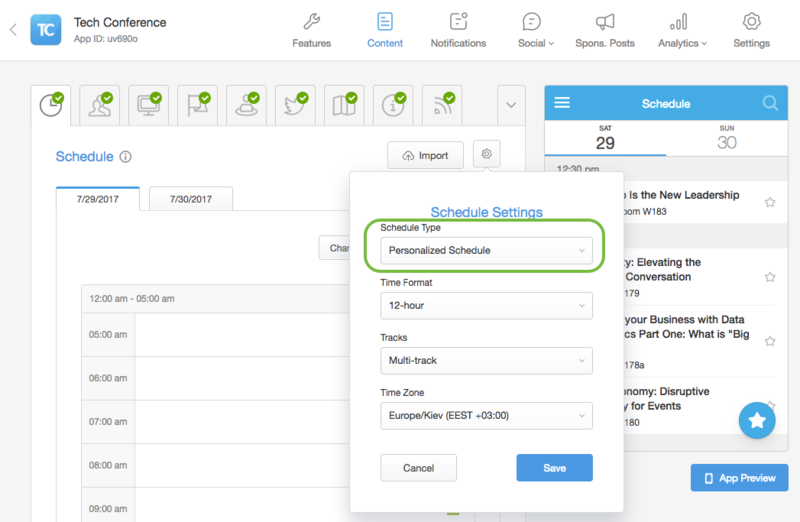 The personalized Schedule is a feature that allows you to create a unique schedule for attendees based on their ticket type, occupation, interests or any other criteria. 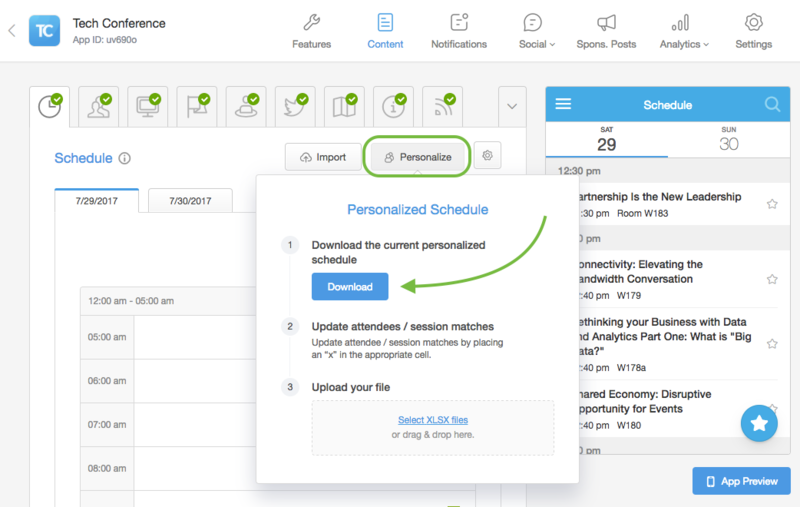 If you are running an event aimed at different audiences this feature will come in handy since you will have the ability to restrict the access to a general agenda and show required sessions to specific attendees. Add/Upload all sessions to the app. To be able to configure personalization you need to add attendees to your app - this will only become possible once the app is submitted. Adding attendees can be done in several different ways. You can learn more in our dedicated articles for One- and Multi-Event apps. Click the button “Settings” above the Schedule Pane and select “Personalized Schedule” under “Schedule Type”. on the dashboard before exporting the grid. for those sessions that should be invisible. 7. Repeat the same procedure for other attendees. 1. Mark all cells with an “x” for attendees that should see the entire agenda. 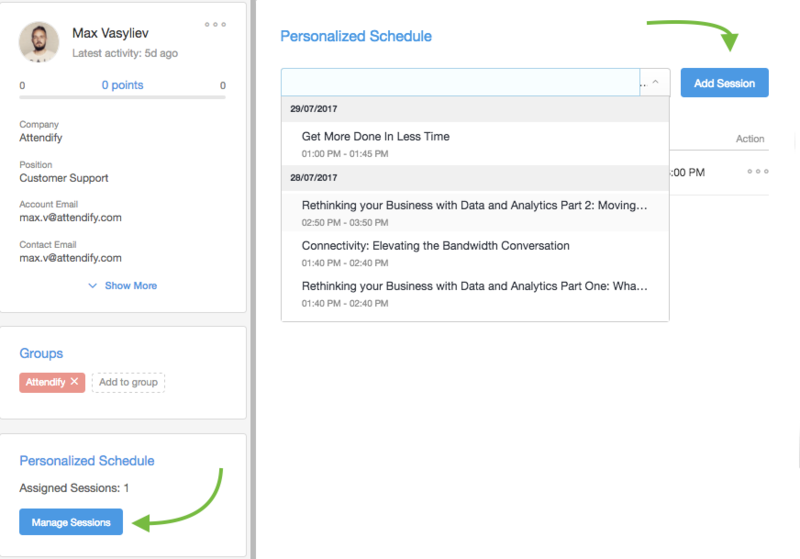 In case you leave all cells empty, the Schedule feature won't be visible for an attendee at all. 2. Make sure to download the latest grid template anytime you want to make changes, and import it back once completed. 3. Make sure NOT to delete the email column or any of the sessions, this will invalidate the template. If you need to remove an attendee, please do so in the "People" section of your app's management dashboard. 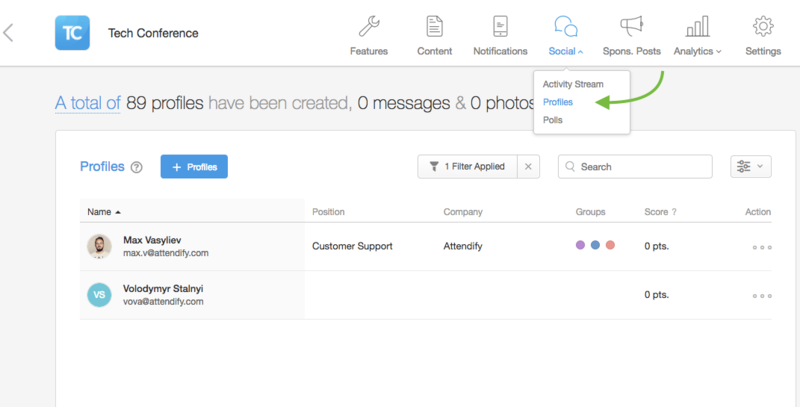 Go to the Social -> Profiles section of your app's dashboard and click on the profile you want to add sessions to. At the bottom of the profile details you will see the Personalized Schedule section where you can add sessions. This way you can also remove sessions from a profile. If you need help with this or have any other questions feel free to reach out us at support@attendify.com or chat with us on any Attendify webpage.